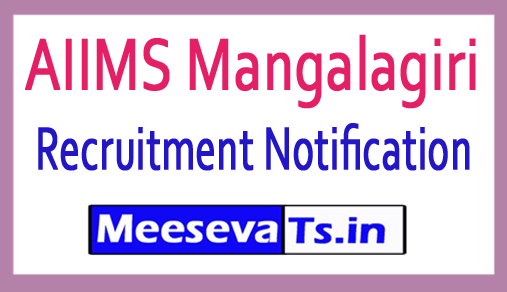 Ames Mangalagiri Recruitment 2018: Online Application for AIIMS Manglagiri Assistant Professor, Associate Professor Recruitment Notification 2018. Jawaharlal Institute of Post Graduate Medical Education and Research (JIPMER) recruited 53 Assistant Professors, Assistant Professor for Associate Professorship of Vacancies Notification 2018 has been published. AIIMS Manglari Organization Assistant Professor, Associate Professor wants to fill 53 posts. Job seekers waiting for the announcement of AIIMS Manglari can use this wonderful opportunity. The eligible people who are eligible can apply online directly at their official website jipmer.edu.in. Thus, the complete information about AIIMS Manglari assistant professor, associate professor recruitment 2018 has been clearly updated on this page. Therefore, we expect that the candidates are feeling happy with our work. Educational qualifications such as AIIMS Manglari Assistant Professor, Associate Professor Jobs, Age limit, Pay Scale, Selection Process, Application Fee, Aiims Manglagri Recruitment, and Important Links, Important Dates, How to apply the necessary certificates, are mentioned below. Professor: According to 7 th CPC, level 14 A (168900 - 220400) with minimum wage is Rs. 1,68,900 / - per month and other allowances are acceptable. Extra Professor: According to the 7th CPC, the level 13 A2 (148200 - 211400) with minimum wage is Rs. 1,48,200 / - and other allowances are acceptable. Associate Professor: According to the 7 th CPC, level 13A1 (138300 - 20 9 200) with minimum wage is 1,38,300 / - per month and other allowances are admissible. Assistant Professor: According to the 7th CPC, level 12 (101500 - 167400) with minimum wage is 1,01,500 / - per month and other allowances are admissible. Look around for Assistant Professor, Associate Professor positions for "AIIMS Manglagiri Recruitment 2018"